Lift with your knees and not your back has been drilled into nurses as often as patient safety comes first. Just follow these body mechanics rules, and you will protect your back, nurses are told. The only problem is that it isn’t true, and everyone but nurses knows all about it. It starts in nursing school. The lie is perpetrated by management in just about every facility. They say they care about your health, your back, but is it true? Unfortunately, it is not. Many studies have shown, many experts have spoken out, and many associations have proclaimed that body mechanics are bogus, unsafe, and outdated. In fact, NPR just published a four part investigative expose into the dangers faced by healthcare workers. You’ve been lied to when you were told body mechanics will protect your back. Inevitably, Susan found herself with back problems. She can’t point to one patient where she felt her back go out, but was told that her problems were simply from the wear and tear of nursing. After several spinal fusions, injections, radiofrequency ablations, and worsening conditions, Susan was confined to bed, only able to sit upright for 15 minutes. And Workmen’s Comp kept urging her to go back to work. Susan did everything right, yet she ended up nearly paralyzed by the back problems caused by nursing. She isn’t the only one, and facilities know that their nurses are at risk. What are proper body mechanics? Anyone who has been through nursing school knows that it means lifting at the knees, flattening your back with your abdominal muscles, and using the large muscles of the legs and backside to move the patient. The only problem with this is that it won’t protect your back. In the past, textbooks used to teach nothing but body mechanics for patient movement. They still are, but with a caveat. According to Fundamentals of Nursing Skills and Concepts, 10th Edition, published in 2013, “The use of proper body mechanics (the efficient use of the musculoskeletal system) increases muscle effectiveness, reduces fatigue, and helps to avoid repetitive strain injuries (disorders that result from cumulative trauma to musculoskeletal structures). Basic principles of body mechanics are important regardless of a person’s occupation or daily activities, but body mechanics alone will not necessarily reduce musculoskeletal injuries . . .” It still advocates body mechanics as a way to protect a nurse’s back, but it gives a nod to the truth that the methods they are teaching are not as effective as health care workers have been led to believe. The numbers bear this out. According to the National Institute of Occupational Safety and Health (NIOSH), injuries caused by overexertion were seen at a rate of 76 per 10,000 full time workers. Nursing home workers suffer these types of injuries at an even greater rate of 132 per 10,000, and emergency medical workers are the most at risk with a rate of 238 per 10,000. For reference, the national rate for all jobs is 38 per 10,000. If body mechanics aren’t the solution nurses have been told it is, then what methods are available to safely move patients? Mechanical lifting usually means using a sling based lifting system, somewhat reminiscent of the Hoyer lift. However, technology has progressed since that lift, making it more comfortable, easier to use, and more reliable than its predecessor. Lifts are not the only way to move a patient, either. Air mattresses, specialized beds, and sliding boards are other ways to safely move a patient without affecting the muscles of the back. Back injuries from lifting don’t only affect nurses, either. CNAs, radiology techs, and transport personnel are also in danger of hurting their back when moving patients without mechanical means. There is no easy answer as to why nursing students and nurses themselves aren’t more aware of the danger that they are in. It has to do with the culture surrounding nursing, how they are taught to lift, and the politics of facilities. 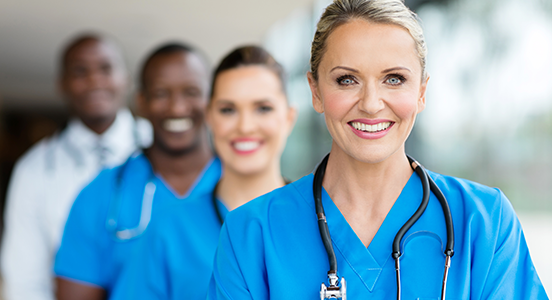 The culture of nurse lifting exists on three levels: nurses themselves, facilities, and politics. Most nurses are still lifting because the simply do not know the danger they are putting themselves in by lifting, even when lifting safely. 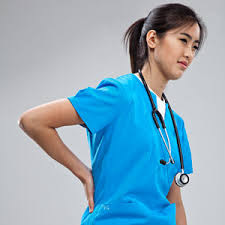 Through nursing school and into employment, nurses are lied to and told that body mechanics will protect their back. Nurses also tend to be in a hurry, and it is easier to lift a patient into bed, regardless of the danger to themselves. Again, this goes back to nurses not valuing themselves as a member of the team. Nurses are drilled to think about patient safety, but very rarely to their think of their own. Another problem is that doctors disagreeing with the lifting apparatus. Some surgeons do not like the extra bulk under the patient when performing surgery, and this means the nurses not only have to remove the equipment but also move the patient afterward without mechanical assistance. It all comes down to money. Nurses are not a priority in the facility’s budget. Lifts and other mechanical devices do not earn the facility money, like an MRI machine would. They are completely out of pocket costs for the facility, and that makes them reluctant to buy the equipment that would protect nurses. In the end, it will take facilities to accept that protecting their staff means making an investment. Some will because they care or they have the funds, but some will not unless they are forced to by an outside agency. Only when the culture of nurse lifting has changed and the federal government gets involved will this dangerous situation go away. The story of nurse Susan Wisnewski is indicative of many nurses around the country, but she has a happy ending. The only way to help Susan now was to stabilize her SI joint. Workmen’s Comp didn’t want to pay for it, but she found Dr. Leonard Rudolf of the Alice Peck Day Orthopedics, Alice Peck Day Memorial Hospital in Lebanon, NH. He is performing a procedure that is revolutionary in restoring function to the SI joint. It is called the iFuse Implant Procedure. Since the doctor was located out of her home state, she had to agree to end her Workman’s Comp complaint if they would pay for this final effort to get her life back. Fortunately, it worked. After a few weeks with crutches and a cane, she was cleared for everyday activity after six months. She now fills her time with skiing, warning her nursing student daughter about the dangers to her back, and looking into a management position.